Are you a small business owner thinking of switching from your current web host provider to a new provider? Alternatively, perhaps you have never had web hosting service before. At any rate, LiquidWeb is currently offering four promotions for new customers. Each promotion offers something uniquely targeted to attract a certain kind of website owner. Check out the descriptions below. For more information, visit the Liquid Web website. Customers looking for an inexpensive shared web-hosting plan can now get an affordable package from Liquid Web that includes free registration for up to five domains. The free registration is good for one year. Every Liquid Web shared hosting plan includes easy installation of popular CMS environments such as Joomla!, Drupal and WordPress, along with unlimited e-mail. 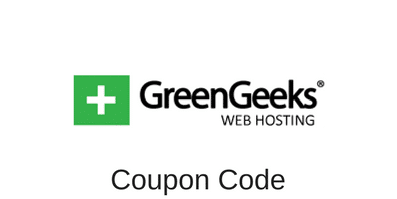 Get a free SSL certificate when you sign up for Expert web hosting! All Storm® plans include bandwidth and Liquid Web’s Heroic Support® with 24-hour availability and proactive monitoring. Please note that the $100 gift certificate discount offered under this promotion is only applicable to new Storm® service. It cannot be applied to any other service. Use this link to redeem your LiquidWeb gift certificate. Purchase any new Storm® or dedicated hosting package and receive a FREE standard or wildcard SSL certificate. That is a $249 value for standard SSL, and a $549 value for wildcard SSL. Your certificate will be valid for one year from the date of order when you take advantage of this promotion. The promotion runs through December 31. Use the LiquidWeb coupon code SSLGIFT. Is breaking up (with your current hosting provider) hard to do? Not when you do so with Liquid Web. The fourth promotion offers free migration for all qualifying websites. If your site qualifies, the Liquid Web technical staff will complete your entire migration free of charge. They will move everything – including your e-mail, database and website files – from your old server to theirs. Certain restrictions do apply. The Liquid Web sales staff team is ready to help you take advantage of the four promotions we have listed here. Do not hesitate to contact them for more information or answers to your specific questions. Liquid Web wants the opportunity to earn your business by offering great deals and service.